I hear you. At one time, I was resistant to man bags too. But after losing enough wallets and sunglasses to fill a small store, I have gradually accepted the fact that a man can use a bag for his stuff and still look cool – so long as he chooses the right bag. 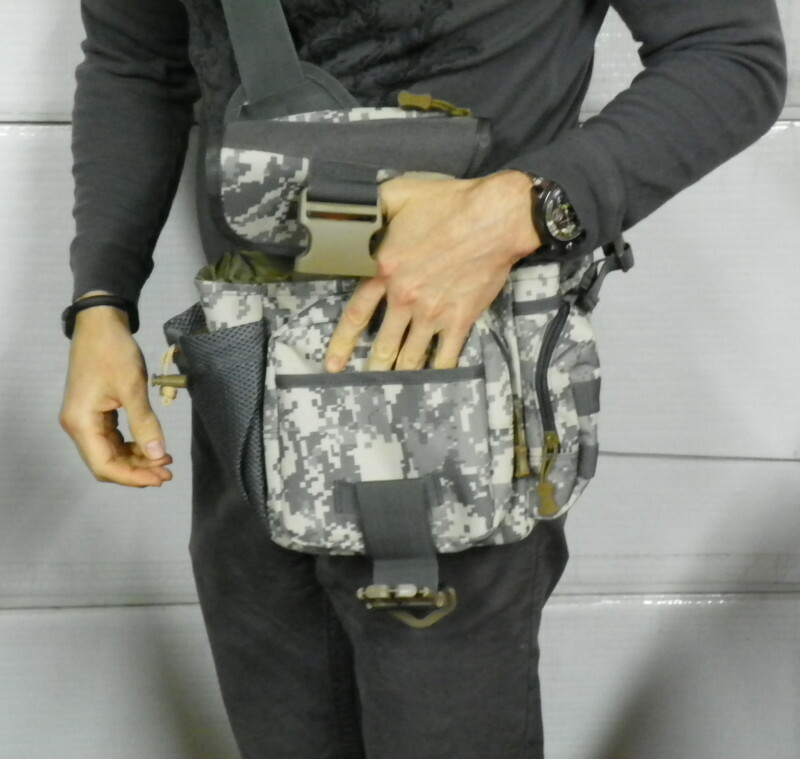 Introducing what I like to call the training bag for guys who are unsure about bringing a bag along with them to their daily jaunts, the Piscifun Single Shoulder Crossbody Bag. 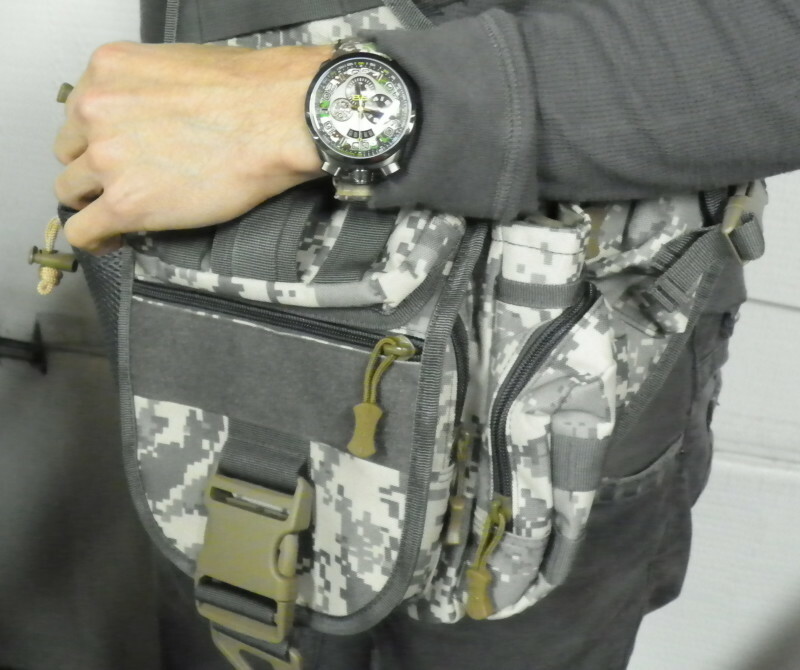 The Piscifun comes in five different color schemes, but we are featuring the Sand Camo, as it sure does look great with our Bomberg Bolt-68 Camo Khaki watch. And what kind of guarantee do you have that your stuff will stay safe? Well, you’re basically entrusting your prized possessions to several 900D nylon swatches that have been stitched in such a way to offer up a clever selection of front pockets, side pockets, top straps, rear zipper pocket, mesh drink holder and one large compartment big enough to hold an entire lunch for two (and insulate it somewhat too). The zippers are sturdy, the clasps fit together with a confident click and the backside is lightly padded to keep you comfortable during an all-day excursion. 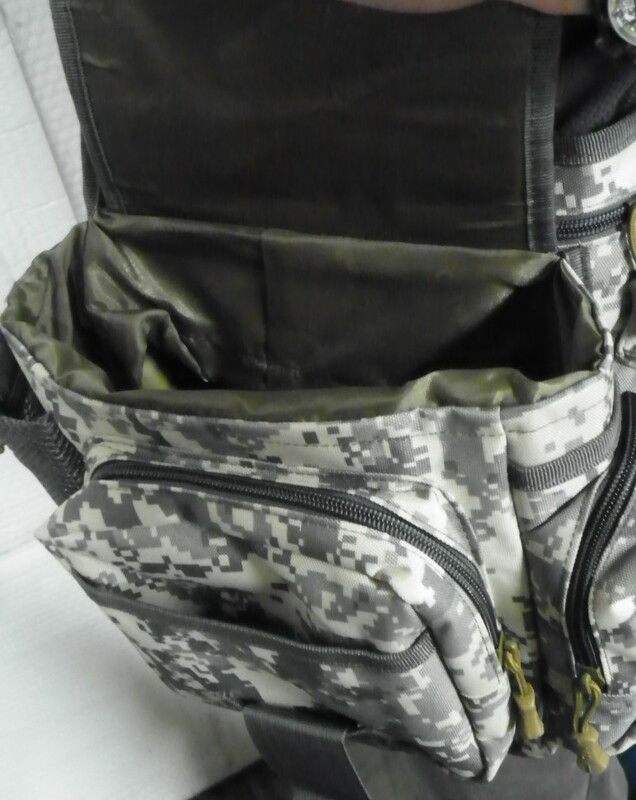 And the neat thing about this bag is while it can expand to offer a lot of storage, it also compacts down to a manageable size when you’re only carrying a few essentials. This is pretty much all the bag you should ever need for your EDC, and if you ever need more – get yourself a good messenger bag for crying out loud. 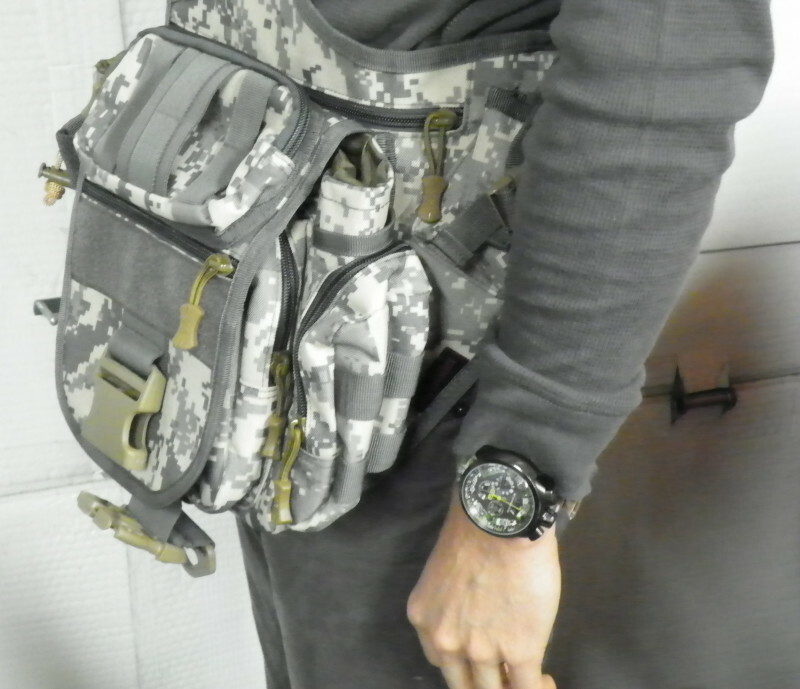 And as man bag’s go – this one is about as macho as they get. Get your own #Piscifun bag here.